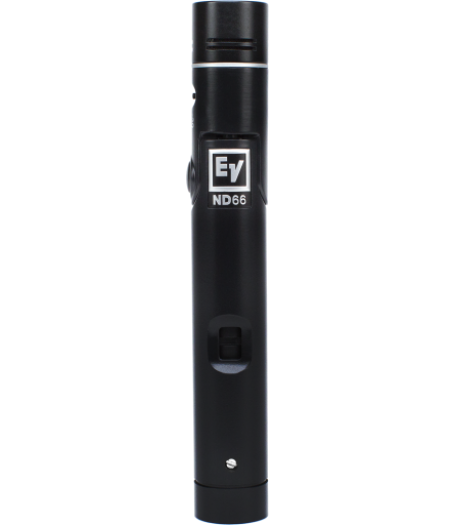 The ND66 is a robust, high-performance small-diaphragm condenser instrument microphone. Its self-biased small-diaphragm condenser element is vividly responsive to the complex dynamic nature of percussive and stringed instruments, and delivers a clean, crisp and detailed sound. 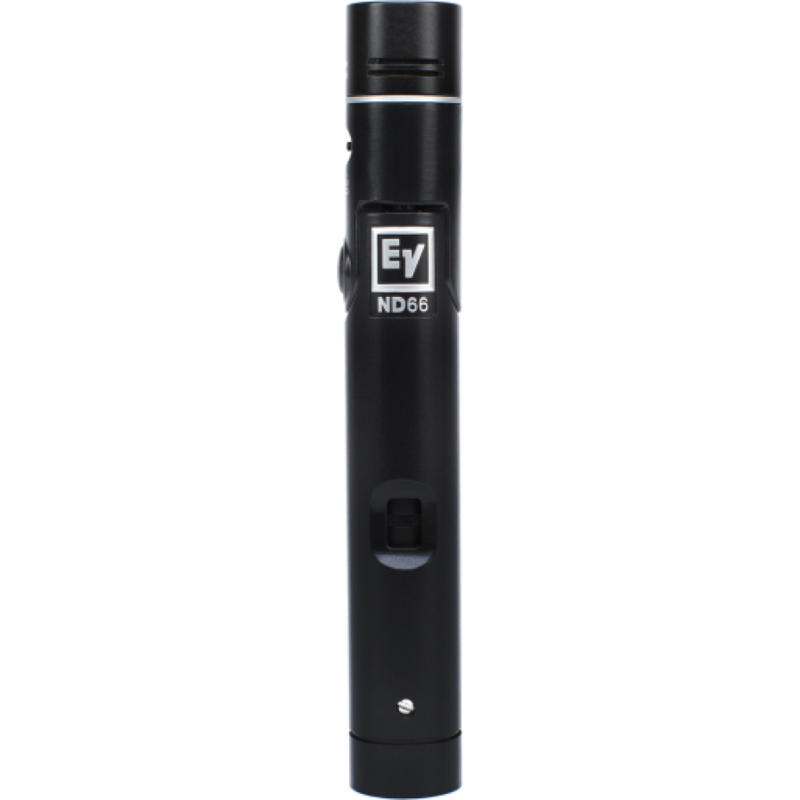 With the ND66’s exclusive locking rotating head, achieve ideal mic placement in virtually any situation by merely pushing a button, rotating the head into position, then releasing the button to lock the head's position.